Coalition of opposition political parties in Kaduna State has vowed to boycott tje local government election slated for Saturday, May 12, 2018 over alleged planned rigging by the state electoral body in favour of ruling All Progressives Congress (APC). The coalition accused the State Independent Electoral Commission (KAD-SIECOM) of grand plan to disenfranchise the electorate and rig the LG election because it refused to display voters’ register at polling units for voters to confirm their names and eligibility to vote in good time. 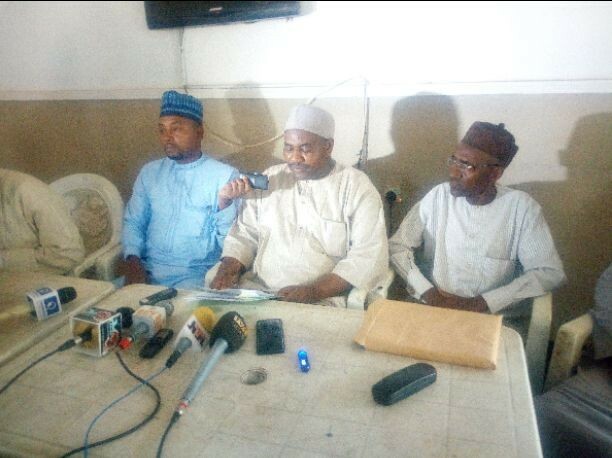 Chairman, Labour Party and Chairman for the coalition, Umar Ibrahim Mairaqumi who led other political parties leaders to the secretariat of NUJ in Kaduna on Friday alleged that, KAD-SIECOM has deliberately refused to use the INEC card reader machine for authentication of voters during the election slated to hold between 8am-4pm Saturday. According to him, “there is a plan to rig election already. We have conducted primaries before now. But with what we have heard and seen, we have no option than to boycott the election because we are in the know of grand plan to rig in favour of APC. “We have seen the card reader, we have seen what it can do. We have said it should be used for the election to ensure transparency. Electronic voting machine is only representing the ballot box and ballot paper. It does not capture voter’s register. “What that means is that, anybody can just go and vote because there would not be any register to confirm whether your name is there or not. “We have information that people will never have. We foresaw security threat against electorate in Kaduna and we are been careful about the whole thing so we don’t put the lives of our supporters in danger. “Kaduna State has had enough of its political violence. It is therefore urgently imperative that we put the security of lives and property of our people in high premium. “This was why, instead of keeping silent, we have come to tell the world that the outcome of this election cannot be credible. “It is pertinent therefore, the Kaduna State coalition of political parties, in the interest of peace and safety of lives and property of our candidates and the public that, we have decided to boycott the forthcoming LG election in Kaduna State scheduled for May 12, 2018. Some of political parties that made up the coalition include but not limited to NNPP, PPP, AD, ADC, PPA, PPN, APGA, LP, NUP, GPN among others.